Healthcare that takes place in the home is seen as the way of the future, being of benefit to both the streamlining of the health system and to the wellbeing of the patients themselves. 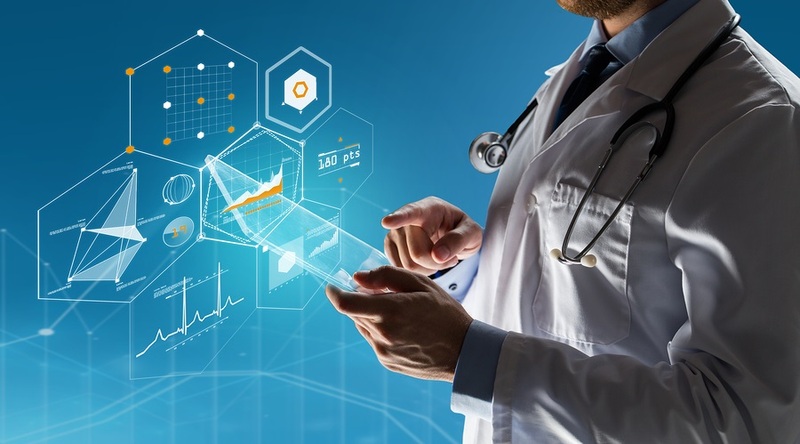 Modern technology is the key to this rapid evolution of healthcare, and there are a number of ways in which tech, including the likes of wireless LAN, has been making this transformation a possibility. The goal of the Internet of Things is to connect everything from medication, medical devices, home emergency sensors, smart packaging, mobile apps, health trackers and even clinical procedures that can be performed in the home via managed wireless LAN so that clinical professionals can better connect with their patients, allowing parents to receive the best medical care while remaining at home and also reducing the strain on healthcare services. Sensors are already changing the way healthcare works for many people. Sensors can be placed all around the home, including on windows and doors, within appliances and even on the patient themselves. These sensors can send alerts to family members or caregivers if a patient falls, fails to get out of bed or misses a meal. Many patients who suffer from Alzheimer’s are being allowed to remain in their homes because of programs that use smartphone apps and sensors to monitor their behavior and alerts nearby caregivers in the event they forget to eat, leave the water running for too long or leave the house. The smart packaging of pills and drugs makes use of printed electronics in order to send patients a push notification via their smartphone, reminding that it is time to take their medication. This smart packaging is so smart that it can also send an automatic notification to physicians when their patient's prescriptions are about to run out so that they can either write a new one or make any necessary changes. Given how easy it is for people to forget to take their prescriptions while leading busy lives, the smart packaging is an excellent way to help patients to remember while also assisting doctors to ensure patients are complying with their treatment. GPS tracking technology allows patients, particularly the elderly, to be monitored by healthcare workers and their families when they are out of the home. Such technology can even detect falls and make automatic calls for help in the event that a patient becomes incapacitated while away from home. Printable electronics means that sensors can be embedded within devices, resulting in technology that is actually wearable and able to assist physicians to create treatments specifically tailored to their patients by measuring their individual lifestyle. These devices will make it easier for patients to carry on with their daily routines while always being able to check on things such as their heart rate or blood pressure. Doctors can also be alerted in the event of any problems or issue notifications about the need for altered medication. This kind of wearable technology, which can include items such as smart watches and wristbands, could also cut down on one of the health care system’s biggest problems, waiting times, by cutting down trips to local GPs or emergency departments except when absolutely necessary, thus freeing up appointment times and rooms and allowing for quicker treatment and diagnosis of patients that really need it. Mobile apps are a simple way for patients to keep in touch with medical practitioners and caregivers while giving the latter some much-needed peace of mind. Reminder apps can send notifications for the likes of appointments or medications, making them an excellent tool both for the elderly and for anyone who tends to be somewhat absentminded. Movement sensors that come complete with GPS can offer crucial assistance to dementia patients and their caretakers. Such sensors can also raise the alarm in emergency situations such as fainting and falling. In-care facilities are important tools for data collection to enable the continual observation of the quality of sleep and weight changes in patients, but the same function can also be provided by smart beds in the home. The Internet of Things, together with mobile devices, big data, cloud-based services, and analytics, allow technology to provide better health to all generations, but the benefit to seniors will be particularly acute by allowing them to remain in their own home.